Although it is still October, fall is almost over here. 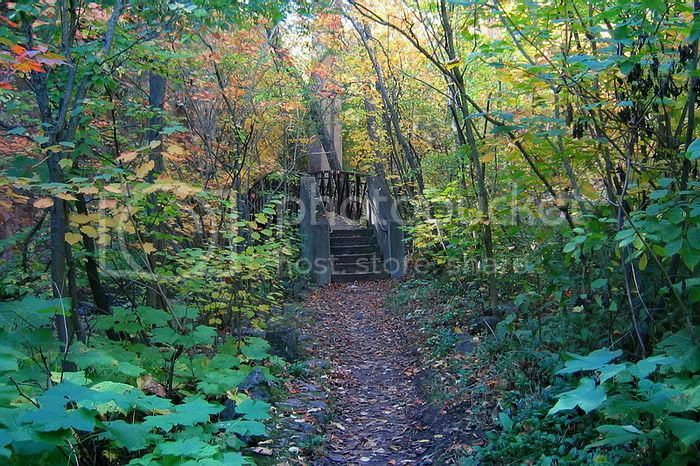 Remember the picture I posted of the wooden-plank bridge a few days ago, the path leading to it overhung with leaves? When I took pictures of the park again this weekend, almost all the leaves had gone, including the ones around that bridge. How quickly autumn passes. But it’s glorious while it’s here. Below are pictures of my favourite little park taken this Saturday. Although the leaves are down now, I still loved it in there. There’s another kind of beauty to the woods when they’re stripped, with the contours of the land laid bare. The muscled leaf-brown slopes ripple up the hillsides, studded with boulders and rocks, and stuck through by the verticals of tapered trees. 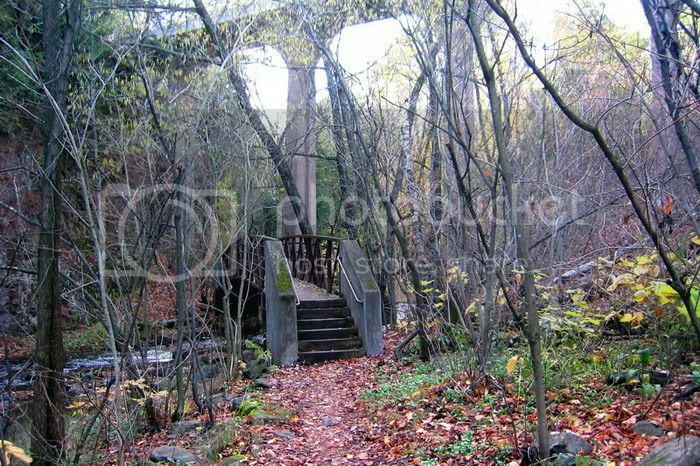 The little bridges that seemed far apart turn out to be close together with no leaves to veil the paths between, and my “ruins of Gondor”* are more clearly cement pylons of a mid-twentieth-century aqueduct (complete with weathered graffiti). But it’s still lovely, the park, with its smell of fallen leaves and the noise of the creek. 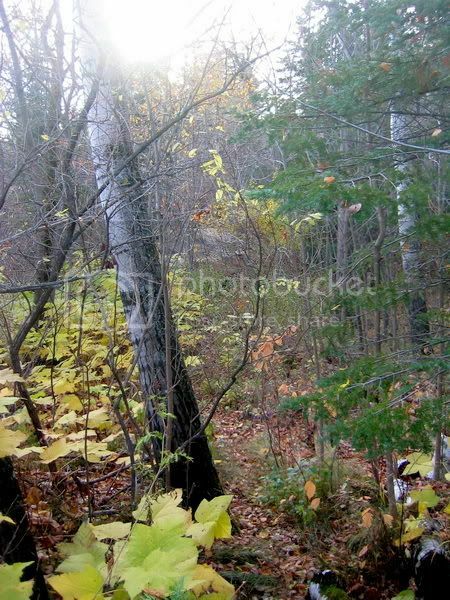 Saturday it was swollen from the week’s rain and it roared, echoing off naked wood and stone. * Jan-u-wine said they reminded her of the ruins outside the gates of Moria. That is what I was thinking of, in fact, so I guess they would have been built by the Dwarves, or the Elves of Eregion, not the Gondorians. To give you an idea how easy to miss this park is, here’s the entrance closest to my house. That little patch of blue to the left of the railing is someone going down to the park. Who would guess a park was there if they didn’t already know about it? 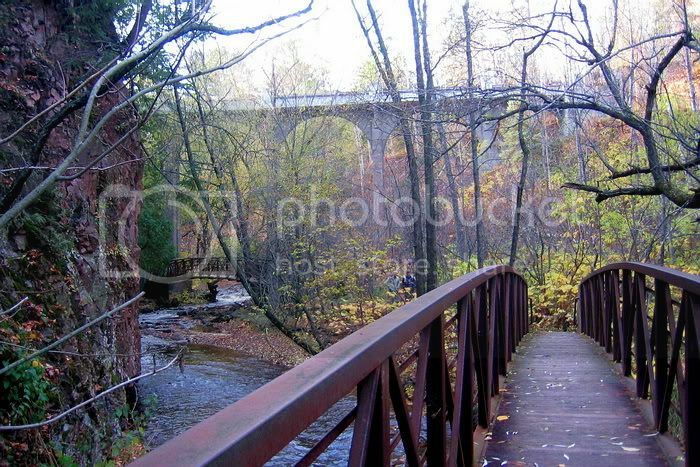 The photos that follow show various spots along the trail: woods, the creek full of water, the bridges, the “ruins of Gondor”. In case we weren’t certain autumn was over, it was confirmed on our two-day family trip “up the shore”. (We just got back.) The first night we were there, Sunday, there was a light dusting of snow. It was our first this year. It had melted by noon, but it was fun to see it just the same. 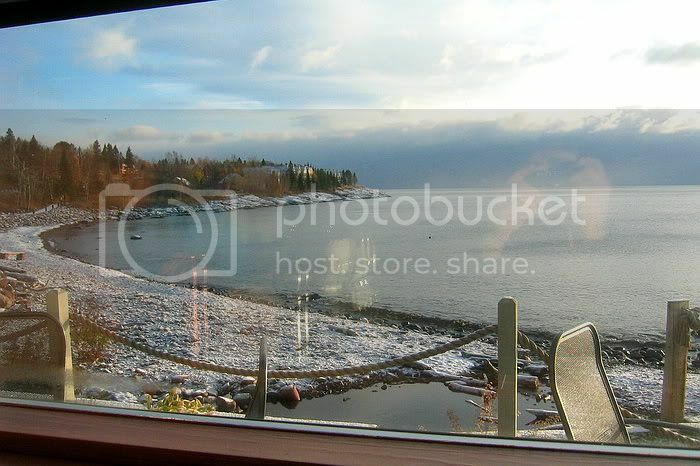 We stayed at a lakeside resort in the little town of Tofte, MN, a place we’ve been before. If you’d like to see where this part of the country is on a map, as well as photos of the area taken during the summer, click here. I made an LJ entry about it in 2005. Below are a few shots taken during our stay (we took piles, but I'll spare you). We did a lot of hiking in the hills that range along the north side of Lake Superior, weathered, tree-covered ruins of what were once mountains. The rock ledges along the shore, exposed lava flows from an ancient era, are as beautiful to look at as they are fun to climb over. I am very proud of myself, since I was able to keep up much better than last time. Here’s the place where we stayed. Our "unit" was on the second floor, just at the end on the left, where the string of condos goes around the corner from the cove. It was late in the afternoon, the light doing wonderful silvery-grey things to the water. This was taken at sunrise on Monday morning, right in front of our place. It was gorgeous, and seemed to go on forever. 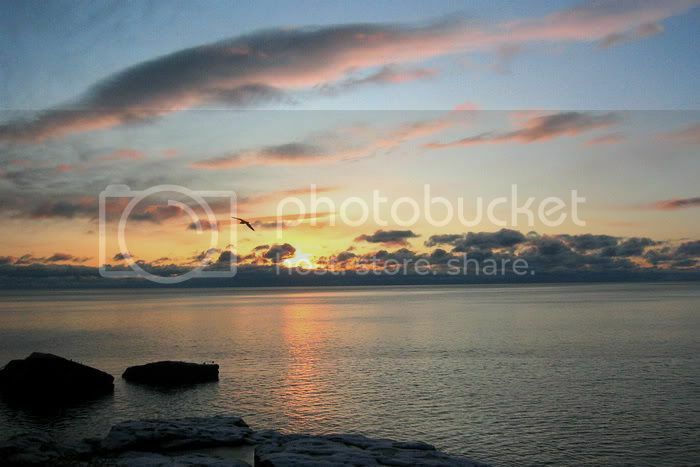 Northern latitudes are like that: the transitional times of the day are greatly extended. Here’s the view up the lake from our balcony. This birch still had some of its leaves, as did other trees right near the shore. 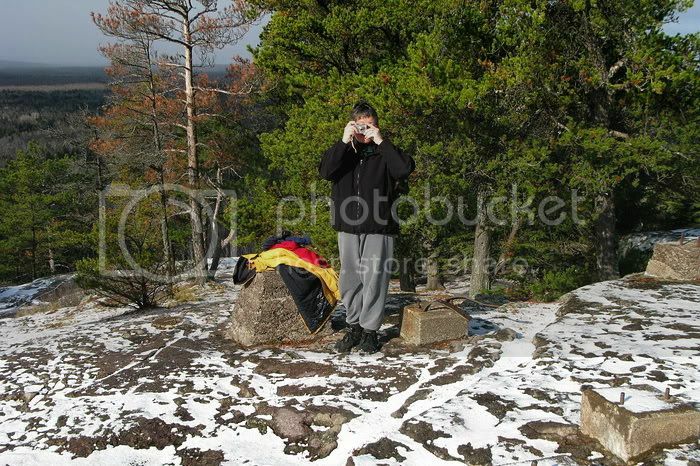 Below are scenes from our hikes. These were taken walking up to Carlton Peak. We hiked this trail early enough that there still was snow on the ground. 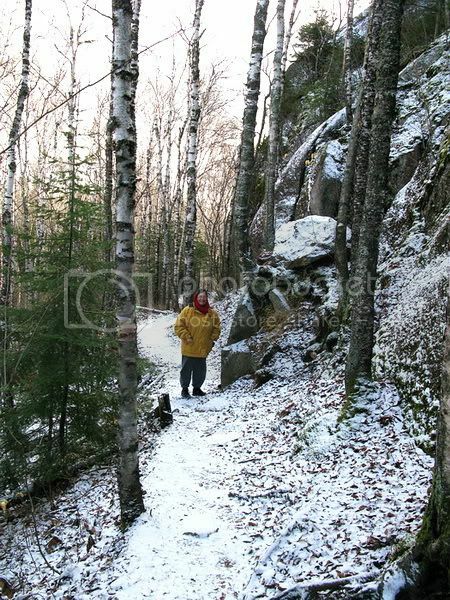 So pretty—but slippery—especially at the top, which is mostly curving slabs of exposed rock. 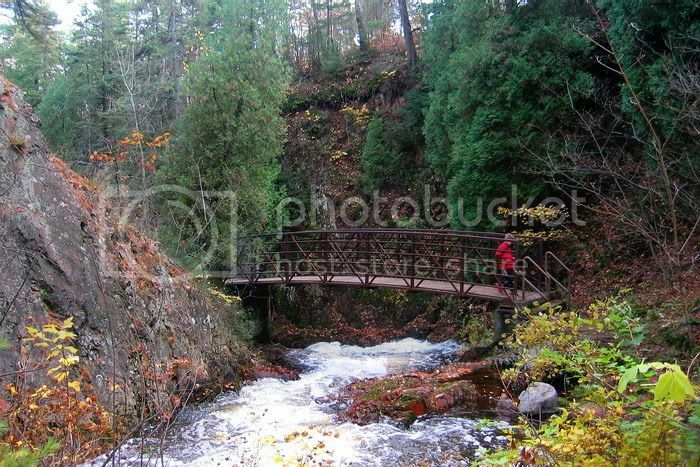 The Cascade River Trail was new to us, but great. 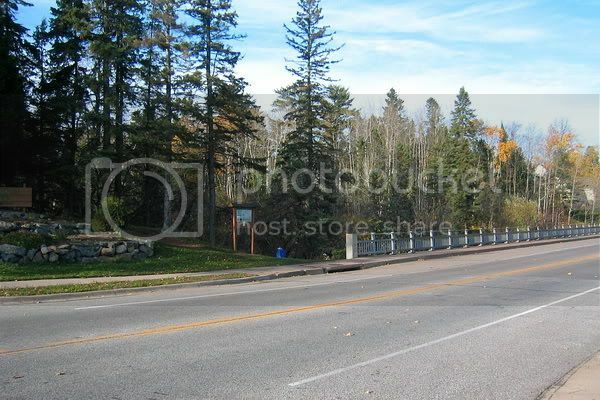 Starting at the lakeshore highway, it went up both sides of the river, which was full of water. It tumbled and roared over huge rocks and into deep chasms, louder than Smaug after he'd discovered Bilbo's theft. It made the creek near my house look like a modest rivulet. 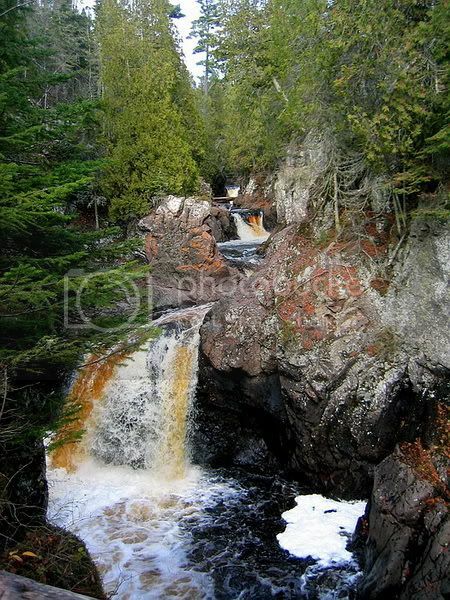 The river looked especially good pouring over its falls, with many shades of deep, dark reddish-brown, but frothy like beer. 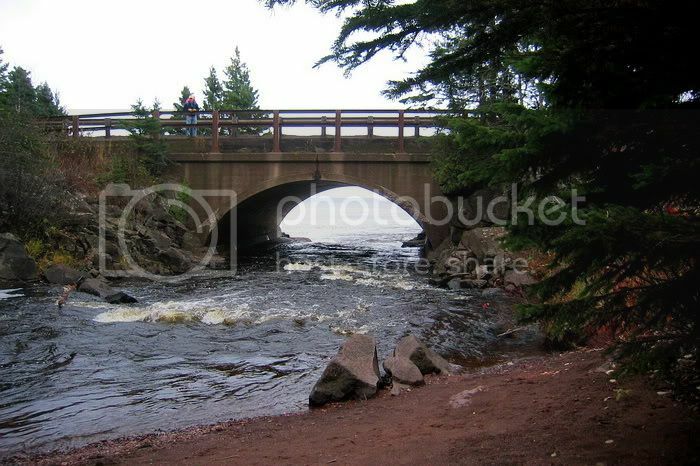 The river got quieter at its mouth, which passed docilely into Lake Superior through an arch under the highway. 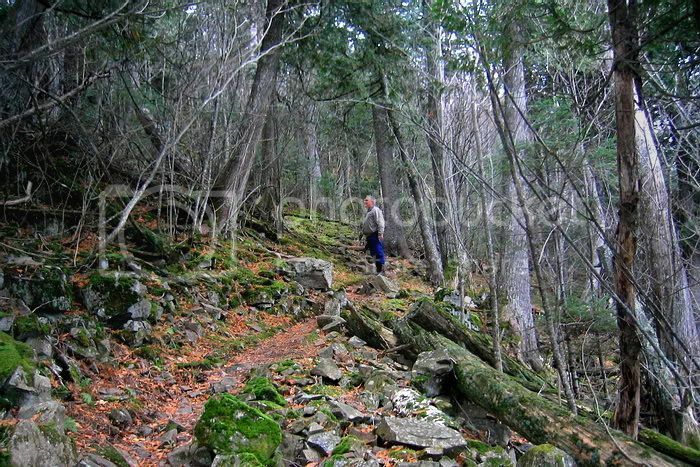 The Leveaux Mountain Trail was another one we'd never taken. Our daughter took a nap while my husband and I walked some of it. 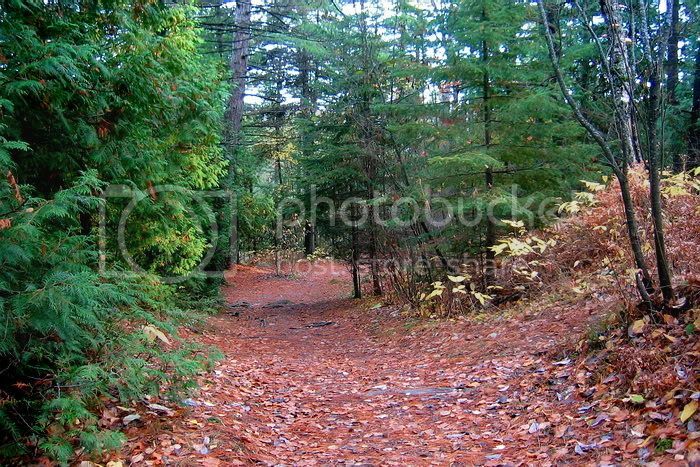 The trail began in the usual mix of aspen, birch and evergreens, but on the lee side of the mountain it wound through a stand of hardwood, mostly maple. It must have been gorgeous three weeks ago. All the starry maple leaves were now down, but the hillsides were strewn with broken stone richly covered with mosses in every shade of green. It was beautiful. I wish I had taken some close-ups. 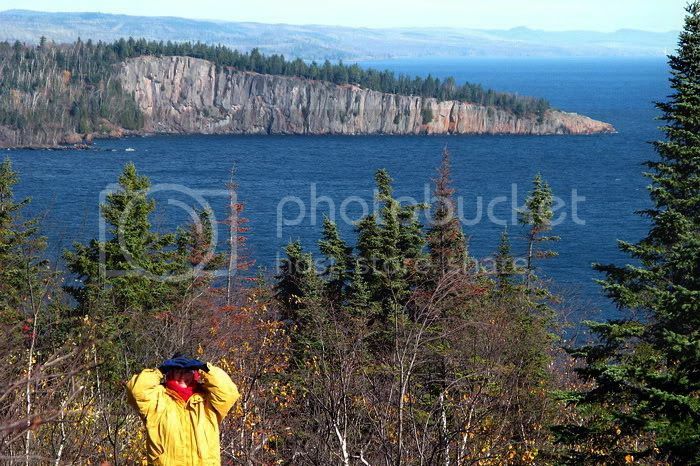 Palisade Head is a gorgeous overlook, rising fiord-like from Lake Superior. Driving back it was finally sunny, which was all the more reason to stop. 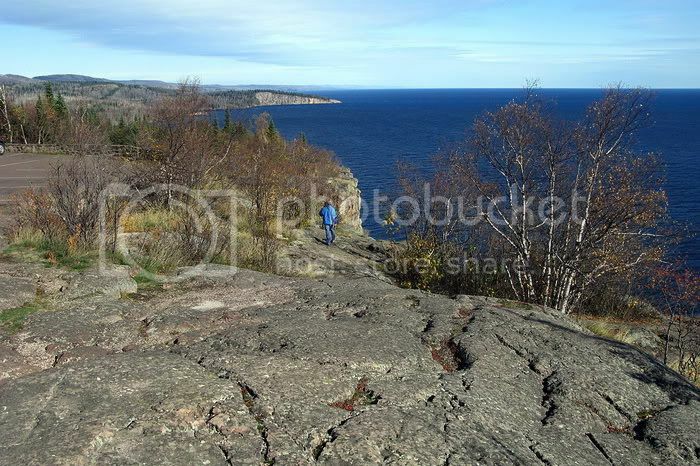 There are great views in every direction from the head, but I especially love the view to the north of another rocky formation, Shovel Point. The pile of rock seems to be sliding right into the deep blue of the lake. Looking south, into the sun, the lake seems no longer blue but silver and white. 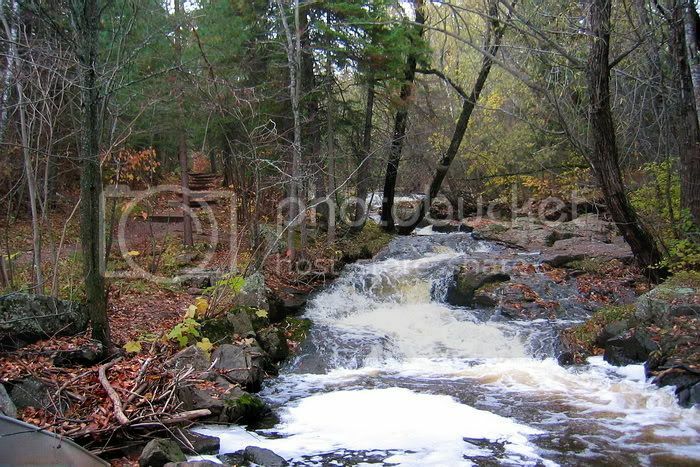 Well, dear readers, that’s it for fall in northern Minnesota. What fun to get an “instant replay” at my mother’s, starting Saturday. The leaves are only just turning colour there, she says. Thank you! I'm glad you enjoyed the virtual visit. Absolutely exquisite! Thank you for these. 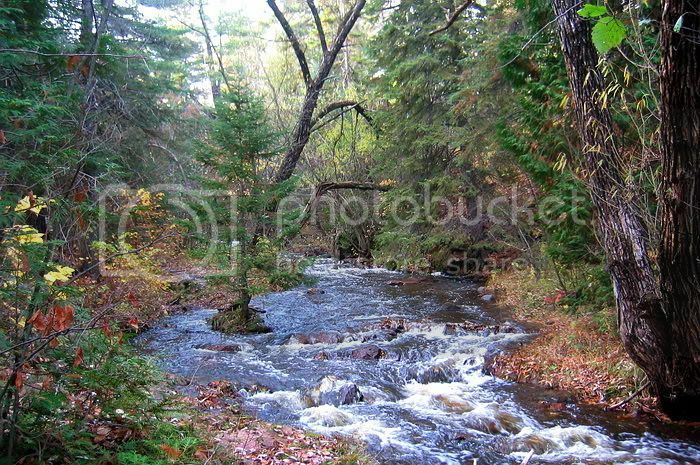 I live in Michigan and your shots remind me so much of what it's like at my place 'up north'. I just closed it for the season and already miss it so much! 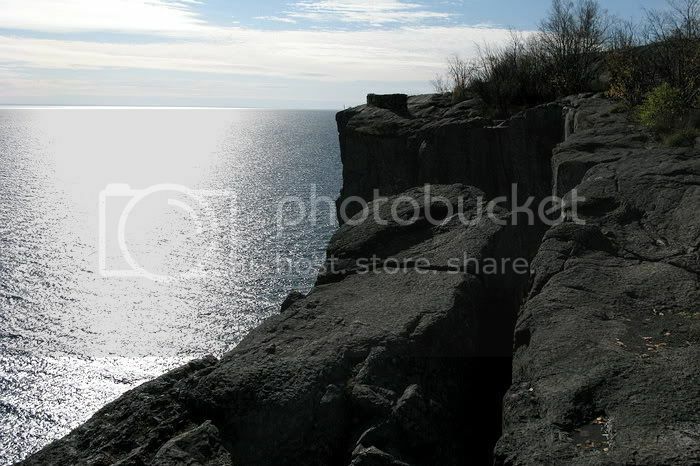 And I think Lake Superior is absolutely magnificent. Never seen it from your viewpoint though. Gorgeous. Oh, oh...what gorgeous scenery! I love the wooden bridge and the chaotic swirls of chaos around it. And that last photo is exquisite! Thank you for sharing these. Yes, the lighting is great. I always love it when the light hits bodies of water like that, making it look like shimmering silver scales. A liquid mithril corselet! I hope you have a wonderful trip. So, so beautiful! Autumn makes me happy and melancholy all at the same time. It's cool that you'll get to experience it twice. This morning, there is a cover of hard frost on the park behind my house. It hasn't reached into our yard, yet, but it's coming. Yes, Goldenberry, it *does* look like "Get off the Road"! I should have manipped Frodo into it. Better still, I should have brought along my stand-up cut-out Frodo and posed him there! "A mosaic of colored stones": that's good, Mews! The smell and the lighting are so good right now. I just wish it were a bit warmer! It's starting to feel chilly on walks, making me want to cut them short. Wow, this makes me want to go into nature and hike again! So, so beautiful. "Looking south, into the sun, the lake seems no longer blue but silver and white." This reminded me of Frodo's boat sailing West. "And the ship went out onto the High Sea and passed on into the West, until at last on a night of rain Frodo smelled a sweet fragrance on the air and heard the sound of singing that came over the water. And then it seemed to him that as in his dream in the house of Bombadil, the grey rain-curtain turned all to silver glass and was rolled back, and he beheld white shores and beyond them a far green country under a swift sunrise." Can you see the white shores way out there? Gorgeous, gorgeous pictures, Mechtild. I love trees no matter what time of year, but they are especially beautiful ~ spectacular even ~ in Autumn. That looks such an interesting park, with it's little paths, steps, bridges and gurgling streams. It's no wonder it reminds you of Rivendell. Your sunset over the lake is exquisite! I hope you and your daughter have an enjoyable visit with your mother. 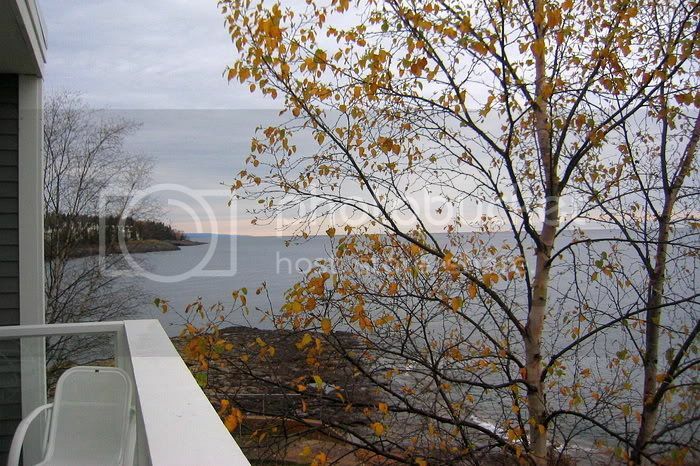 How great that you will experience the beauty of autumn twice in the space of a few weeks! Thanks for the good wishes, Blossom. I will miss being able to work on LJ, but it's all for a good cause. Rachel hasn't seen her grandma (and my brother) for two and a half years! I hope my mom is well during the visit. The weather looks like it will be delightful. "Warm", we'd say (they expect highs in the 50's and 60's - Farenheit). "Cold", my mother told me last week. Ha ha!--it turned out that it was 70! That's summer to us. Oh my, these are spectacular!! It's nature at its best, with wonderful colours and amazing corners. The wooden bridge looks so different after three weeks, it's almost spectral now, but still absolutely fascinating. You're welcome, Melyanna. You should know about beautiful settings. 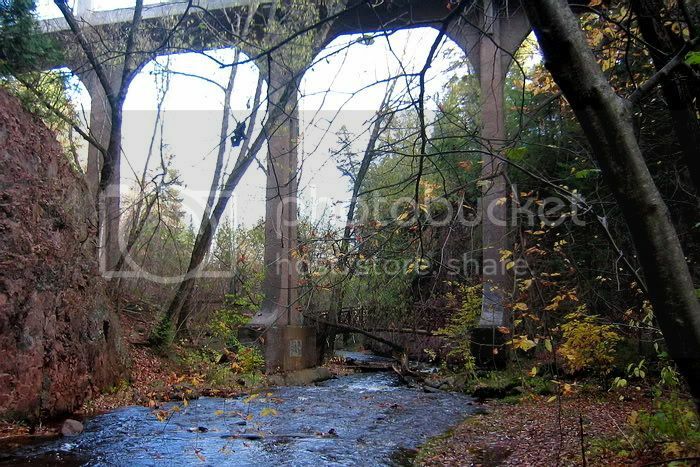 :) The bridge does look completely different without the leaves. I will have to take a picture of it when it's snowy down there this winter. That would look more different still! Autumn certainly does whizz by quickly up your way, doesn't it?! Such gorgeous pictures! 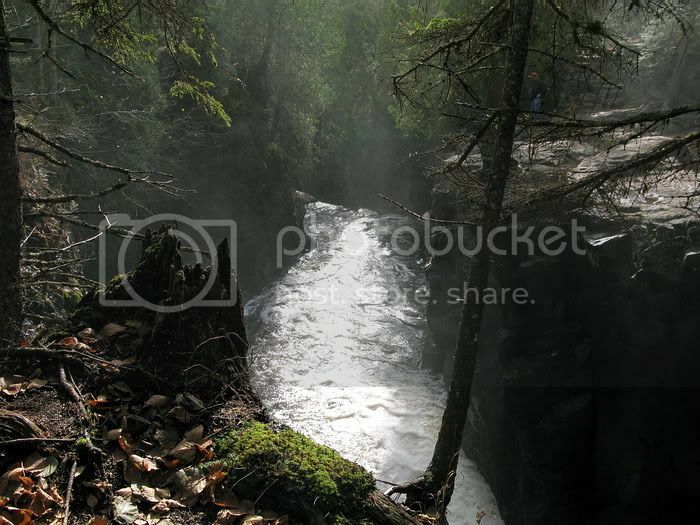 Lovely bridges and cascading water. The aqueduct does make it rather atmospheric, too! Up along the lake is beautiful too. And cold - even though it's not winter there yet. You live in a beautiful part of the world. It's so different to where I live! Enjoy your trip to see your mother, and your second coming of Autumn! Thanks for the well-wishes, Maewyn, for our trip. I can't believe we're leaving in the morning. I have a lot to do still, true, but mainly it's because I don't want to go. I am becoming very home-attached as I get older. I don't mean Duluth or Minnesota (pretty as it is); I wouldn't mind moving to somewhere milder, not a bit. I miss having "my own place", I guess. But more I find that I miss my day-to-day relationships: with Glen, and, yes, with Angelo. Your picture are very beautiful, Mechtild! The fall colours and light are unique and so well matched, there are no better days for pics. The “ruins of Gondor” have a strong Elven mark and reminded me also of Rivendell. Thanks so much for stopping by, Estelanui. I loved making this post. 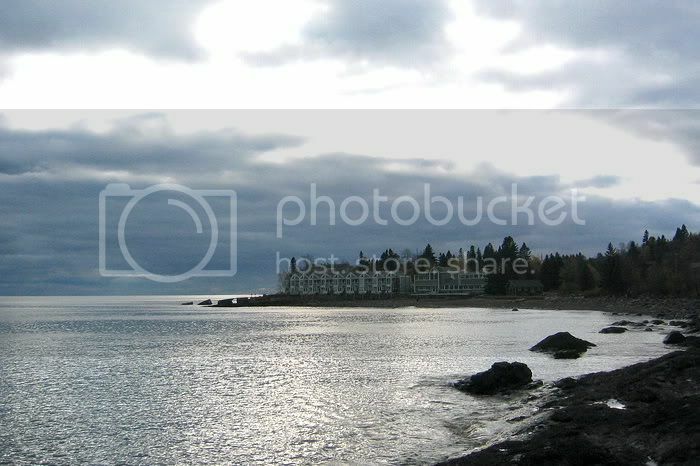 Duluth, MN can be very beautiful. If only the winters weren't so very cold, and so very long!!!! Mariole! How great--and well-timed--to hear from you. I am out east visiting at my mother's, so our daughter can have a good visit before she goes in the Coast Guard after Christmas. It also happens to be Election Week. We voted by absentee ballot before we left, but it's been a bit of a damper doing all our celebrating between just the two of us (my mother; my brother and his wife and all their friends are Republicans). But last night I kept thinking of you, especially as I saw the count creeping up towards Blue in CO. "Mariole helped do that!" I beamed to myself. When it went into the Obama camp, including Udall, at last, we whooped. What a night! I adored both the very gracious concession speech by McCain (who again looked like his old self, the one I had liked these many years), and the stirring but restrained, reassuringly presidential speech by Obama. I felt like it had been decades since I'd heard a speech like that, that made me feel lifted up, like I was a member of my own country. I hope it all goes well. Well, I'm at the public library and my time at the computer is almost up, but I just wanted to say "YEAH!!!!!!!!" with you. Be back next week. P.S. Nearly forgot: thanks for the lovely comment! Aw, thanks so much for sharing your thoughts and impressions. It truly was a magical night and a life-altering moment. I'm so proud of all of us. The turn towards Obama is taking away the shame of having George Chimp Bush representing us-- ick! Not for long!